October 21: 8:30 a.m. - 7 p.m.
October 22: 8 a.m. - 5:15 p.m. 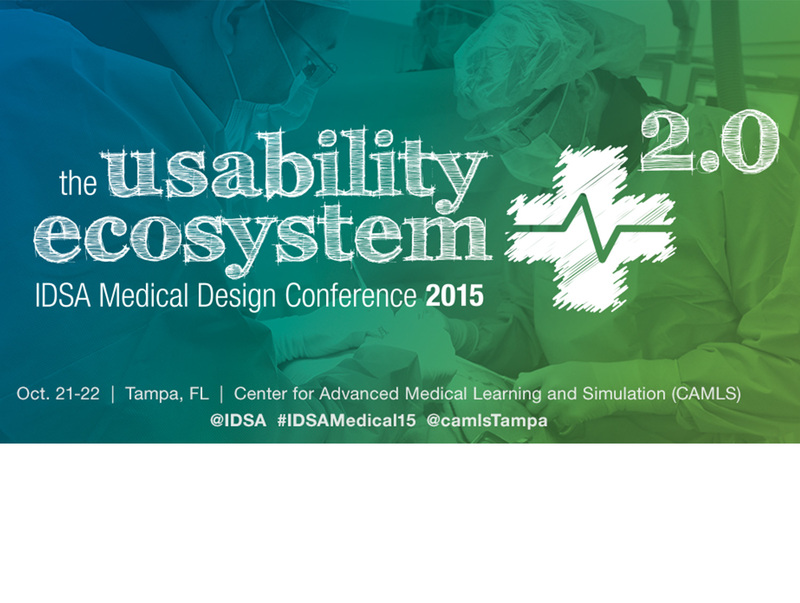 The premier medical design event—the IDSA Medical Design Conference—takes over the state-of-the-art Center for Advanced Medical Learning and Simulation (CAMLS) in Tampa, FL from Oct. 21-22, 2015. A pre-conference, Experiential Symposium (additional registration required) is scheduled on Oct. 20 with a hands-on operating room/animal lab experience and a contextual usability study on robotic-assisted surgery; along with contextual inquiry workshops on emergency room conditions and interventional cardiology. Keynotes are set with Shannon Hoste, a senior staff fellow at the Food and Drug Administration with almost two decades of medical design engineering, research and development experience, and Stanford University School of Medicine’s Lawrence Chu, MD, an associate professor in anesthesiology, perioperative and pain medicine, who takes a special interest in emerging technologies in medicine. See the latest schedule and speakers here. Group conference registration rates (for three or more attendees) are available. Book a great room rate at the Hilton Tampa Downtown, and come early, stay longer—to unlock Tampa Bay.